Others throughout history have repeated that phrase because people that cannot feed their families become desperate. The can and WILL topple any government, steal, cheat and riot in order to provide for their families to stop them from starving. Videographer TRUTH FED, details the food and water crisis the US is seeing at the moment and warns that it is all coming to a city near you and we should be prepared, but before watching his presentation and assertions, let’s look at the evidence already out there, being reported now, which confirms what you will hear from him below. – Milk – Retailers have been hit by a 36% wholesale price increase since December, and Jones says per-gallon retail prices could rise another 25 cents to 50 cents this year. – Fruits/Vegetables – Orange prices increased 3.4% last month, and strawberry prices are up 12% vs. a year ago. Analyst Michael Swanson says prices for other fruits and vegetables could spike this year, depending on the damage caused by California’s drought. That is just a small sample of what is being reported about the rising cost of food and the expected continued increases in prices. In December 2013, Huffington Post, among others, reported that there are 11 American cities that may completely run out of water sooner rather than later. A Google search for “Water Shortages In America” brings up a chilling amount of articles showing our dwindling supply, as well as some archaic measures and restrictions being places on water use in certain areas. 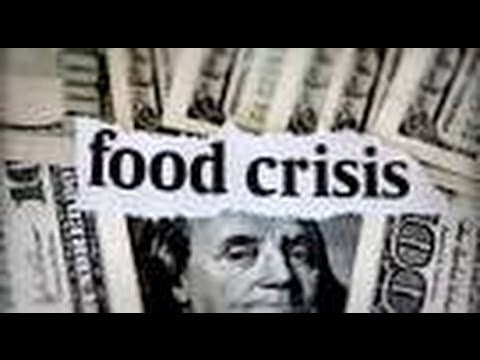 We have seen multiple warnings from people in the food industry expressing amazement that more people have not noticed what is happening in the food industry, as well as warnings about why we are seeing this. We have been warned by a former Pentagon official that the US government is preparing for insurrection and riots and we have all seen the massive ammunition purchases, the weapons solicitations and militarization of our local law enforcement agencies, which back up the claim that federal agencies are preparing for war within America. 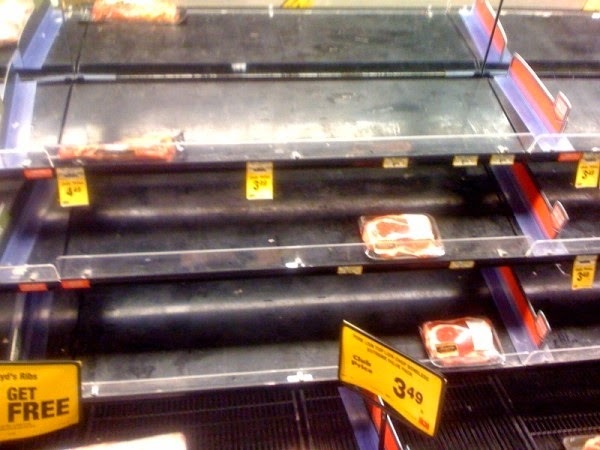 The food and water crisis is real and it is coming to a city near you…. be prepared.